Whether you're stepping into your favorite game, watching an immersive VR movie, jumping to a destination on the other side of the world, or spending time with friends in VR — with Rift, you'll feel like you're really there. 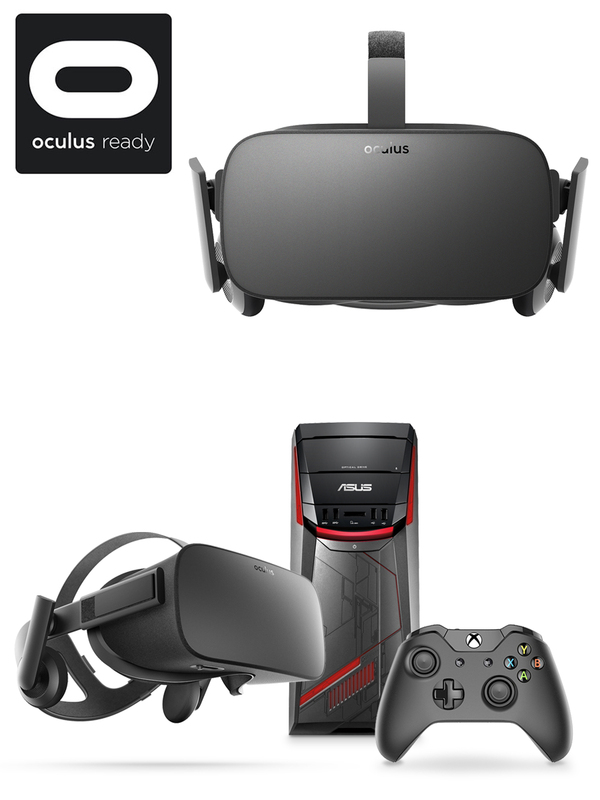 Shop Rift headset & Oculus-ready desktop packages below. System requirements: NVIDIA GeForce GTX 970/AMD R9 290 equivalent or higher; Intel® Core™ i5-4590 equivalent or higher; 8GB RAM or more; compatible HDMI 1.3 video output; 3 USB 3.0 ports plus 1 USB 2.0 port; Windows 7 SP1 64-bit or later.